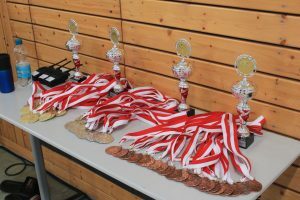 205 starts from 52 judo clubs and fight-communities registered to the SV Luftfahrt Masters 2014. Among the veterans were German Champions, Europe Champions and World Champions whole the world. With round about 100 german and 100 non-german from 11 nations we had lot of internationality on 4 tatamis. New competitors came from Serbia and Russia. The serbian men won the tournament in the plus 30 and plus 40 age class on their first participation on Luftfahrt Masters. The Veteran World Champion 2014 Andrej Kalinin demonstrated excellent fighting skills in the weight class up to 90kg of men plus 50 and won in this high occupied class. 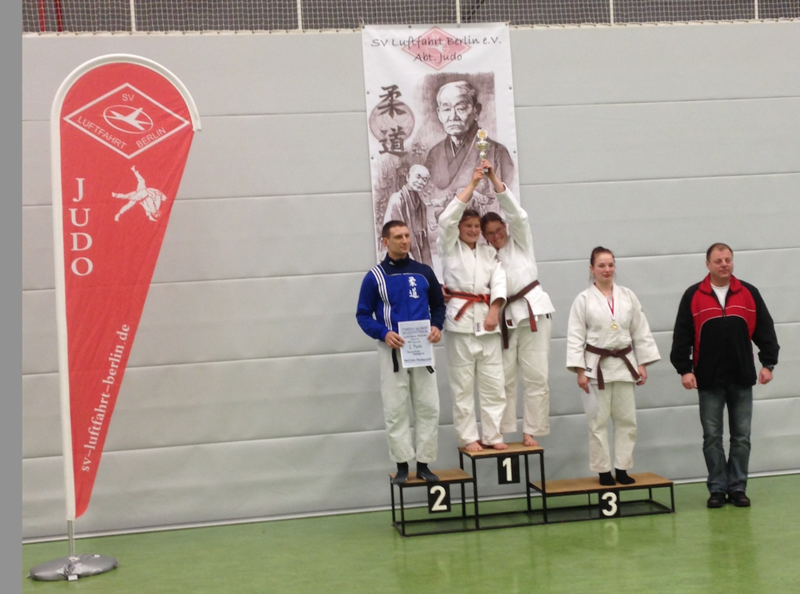 His club mate Andrey Sozonov from Dynamo Ekatarinenburg picked up Gold in the age class plus 30 up to 81kg as well. The most matches with 23 competitors has been done by JV Gwardia Koszalin (POL), followed by SV Gallneukirchen (AUT) with 17 competitors and AC Taucha (GER) with 14. Team from SV Gallneukirchen (AUT) were most successfully. They received the first place to men plus 30 and open age class and the the first place to the female below 18 as well. AC Taucha (GER) covered the second place to the males and females below 18. But at the men up to 40 they took the trophy home. The women of AC Taucha reached the third place. This year were fair and sportsmanlike on good level to see. The mood was uniquely again by the Austrians. We look forward to the upcoming Masters in 2015 and welcome all judoka in the world welcome.